CrossFit CHALKBOX | CrossFit Games Week at ChalkBox is coming soon! CrossFit Games Week at ChalkBox is coming soon! 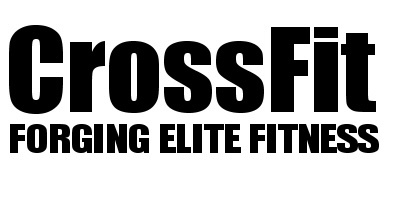 The CrossFit Games is an athletic competition sponsored by CrossFit and Reebok. The competition has been held every summer since 2007. Athletes at the Games compete in workouts that they learn about hours or days beforehand, consisting mostly of an assortment of standard aerobic, weightlifting, and gymnastics movements, as well as some additional surprise elements that are not part of the typical CrossFit regimen such as ocean swimming, softball throwing, or ascending a pegboard. The Games are styled as a venue for determining the "Fittest on Earth," where competitors should be "ready for anything." What is it? A week selected workouts performed at the CrossFIt Open, CrossFit Regionals or the CrossFIt Games. What do you need to do? Just show up and be ready give it your all every single time! When? Start Saturday 1st Oct - Saturday 8th Oct. Saturday 1st of Oct is the KICK OFF and Saturday 8th are the FINALS!! For who? For everyone. During the Games week you can come as many times as you like however the numbers per class will be capped. So we will operate on a first come first serve basis. Is it different than a regular session? Expect to have fun, work hard, sometimes in a team of 2 or 3. You all will be helping out each other in setting up the WOD's, judging, counting reps and most importantly supporting each other in those last few reps. All WOD's are scalable and we strive to create for you the best all inclusive fitness experience.